At the end of September Minnesota’s string of perfect fall weather was interrupted by a frustrating number of days with wind and rain. The timing was terrible, as trees around the state were just getting fully dressed in their finest colors. I really wanted to get out and shoot, so I watched for a break in the weather. When I found it, I assured my husband that if we left about noon, we would have sunny skies by the time we reached Banning State Park a couple of hours later. 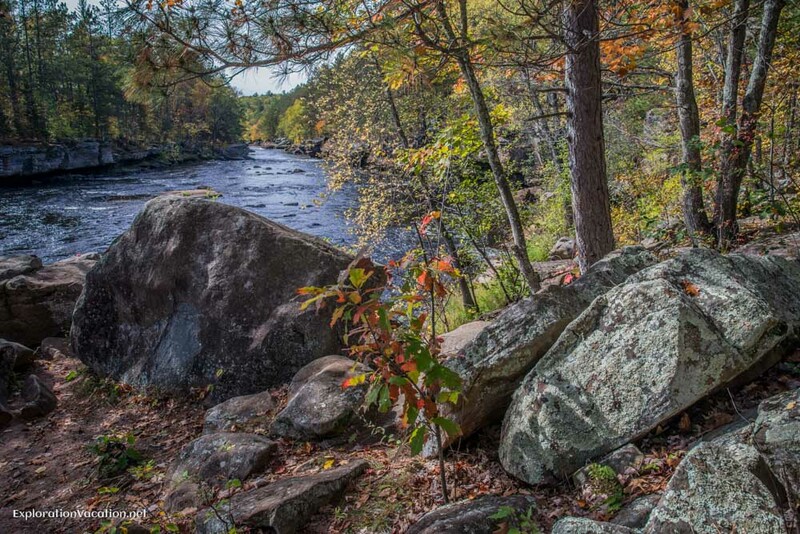 Banning State Park is located along the Kettle River near Sandstone, Minnesota. It’s a gorgeous park, with mixed hardwood and pine forests that make it perfect for taking in the fall leaves. There is also a lovely waterfall on Wolf Creek (which we didn’t get to on this visit) and plenty of rapids along the Kettle River. Easy trails through the woods along the Kettle River provide more than enough colorful leaves for even the most avid of leaf peepers. Those leaves provide a lovely setting for the Kettle River as it tumbles through the rocky landscape. While this is a natural area today, the park includes the former Banning town site as well as the remains of a quarry where massive blocks of pink sandstone were removed for use in construction. Operations ended at the quarry in 1905 and the town of Banning itself was abandoned within ten years. Today remnants of the quarry provide a contrast to the lush vegetation. The remains of a few buildings provide a dramatic reminder of Banning State Park’s past. It’s an odd mix, but one that makes for a lovely fall hike. Banning State Park is located less than two hours north of the Minneapolis/St. Paul metropolitan area near Sandstone, Minnesota. The park offers a broad range of activities, including hiking along 17 miles of trail, rock climbing, and some of the state’s most challenging rapids. The park is also connected to the Willard Munger bike trail. 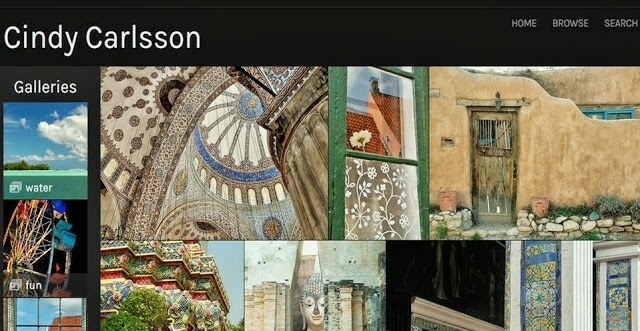 This post is linked to Travel Photo Monday at Travel Photo Discovery.